In a recent biography by a political analyst, Geert Wilders is labelled the sorcerer’s apprentice. Trained by one of the most prominent Dutch politicians in recent decades – “sorcerer” Frits Bolkesteijn – Wilders transformed from a relatively unknown Member of Parliament into the most outspoken and influential politician in the Netherlands. But his magic seems to have worn off, as Dutch voters are increasingly getting tired of his yearning for political hysteria. Wilders has been a Member of Parliament since 1998, when he took up his seat on behalf of the conservative-liberal People’s Party for Freedom and Democracy (VVD). As his views on Islam increasingly caused frustration within the ranks of the VVD, he left the party in 2004 and went solo. In the 2006 general elections, Wilders’ newly founded Freedom Party (PVV) shocked the political establishment by bagging 7 out of 150 seats in parliament. Not a single commentator or pollster had expected his newly founded party to do this well. 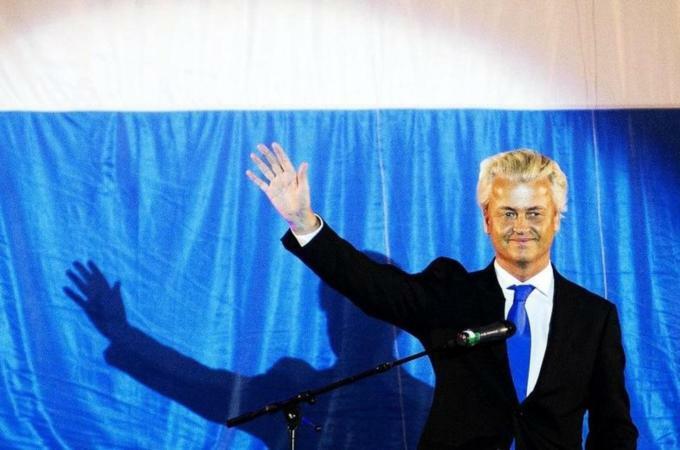 Dutch voters were shy to admit of voting for “blonde Geert” in the lead up to the election, distorting polls, as he was still seen as a radical, or even extremist, by the chunk of society. In 2010, he repeated his magic seizing 24 seats, or 15.5 per cent, in parliament. Once more, Wilders managed to obtain more votes than anyone could ever imagine. The result was both intriguing and shocking as his party even surpassed the Christian Democrats (CDA) who, de facto, ran the Netherlands since World War II. As a result of his electoral success, Geert Wilders became the kingmaker for the VVD/CDA-minority government in exchange for a vast amount of influence over its policies. Moreover, PVV became part of the political establishment. Although the party did not take up any ministerial posts, they were without question the most influential, as Wilders could mainstream his fairly radical ideas on Islam and immigration. Even when Wilders-admirer Anders Breivik slaughtered 77 children and young adults in Norway it did not harm his position. PVV-voters are able to distinguish between a terrorist and a legitimate politician, even if they share similar views. Nothing seemed to stop Wilders rise to power. Years of successful opposition to what he called the creeping Islamisation of Europe encouraged him to repeat this tactic as the Euro-crisis started dominating the agenda. The financial and political crises presented him the opportunity to label himself as the defender of Dutch sovereignty against creeping influence of Brussels. With this strategy in mind, he rammed the Rutte-government during austerity talks earlier this year, convinced that momentum would be on his side again. Wilders secretly dreamed of being the next prime minister. After all, his party had grown rapidly every election, so why should this trend not continue? Wilders, however, failed to observe two other trends. First, he did not expect that the majority of voters simply do not want more political crises, but instead long for politicians to take up their responsibilities – even if that means tough austerity measures. Not a single person that I spoke to in recent weeks, irrespective of their background, is really looking forward to yet another general election. Most voters hold Wilders accountable for tearing down the minority government and blame him for prioritising his own interest over national interest. Another element Wilders failed to take into account is the fact that his opponents have finally stopped being afraid. Left-wing parties used to fear Wilders as they witnessed his seemingly unstoppable rise. Especially the Labour Party (PvdA) leaders used to struggle heavily in face-to-face debates. Each and every time, Wilders was able to portray PvdA as soft on issues such as immigration and crime, leaving them clueless on how to respond. At the upcoming election on September 12, PvdA have chosen for a young foreman, Diederik Samsom, who is street-wise, knows his facts and, most important of all, is a gifted debater. In the past, Wilders used to set the agenda and tone of the debate, forcing others to respond within his framework and, as a result, strengthening his arguments and position. Now that his opponents are finally able to regain momentum, the likes of Samsom can emerge victorious in the various televised debates. In those debates between the leaders of the main parties, Wilders seems to struggle with having to respond to his opponents instead of being the one in the driver seat. He continues his usual antics of showing contempt for left-wing politicians but also clashed heavily with PM Mark Rutte to the extent that both called each other liars – unheard of in Dutch politics. This tactical change in broadening his range of opponents renders Wilders a bitter politician who seemingly hates everyone but himself. Although they share his loathing of Islam, immigration and the European Union, a significant amount of his supporters are also getting tired of his antics. Even some of his stalwarts have had enough of yet another election and simply want leaders to take up their responsibilities. While this election does not signal the end of Wilders’ career in Dutch politics, his ostensibly unstoppable growth is definitely over as he looks set to loose seats for the first time ever. The sorcerer’s apprentice seems to have lost his magic.